Celebrating One of Asia’s Most Beautiful Animals -- in 99.99% Pure Gold! Among the thousands of wild animals that can be found throughout the world, the deer has earned a special place in the hearts of millions of people around the world. Whether it is because of Disney’s portrayal of Bambi or its peaceful presence in photos and videos, the creature continues to touch those young and old. 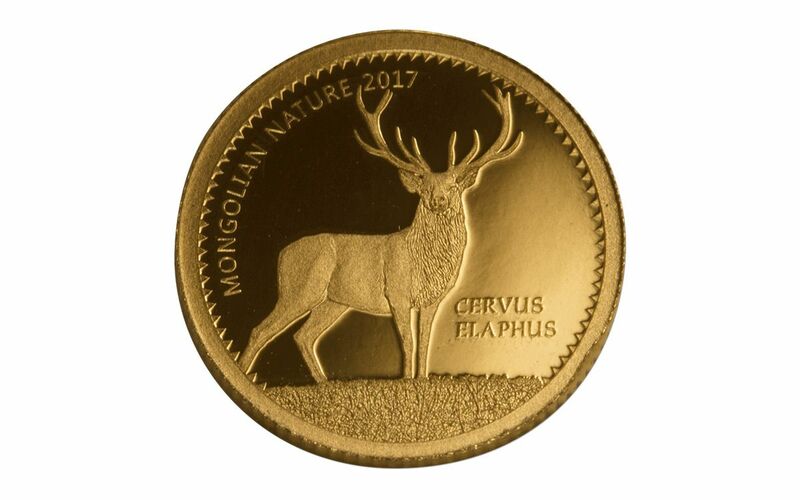 This coin features a stunning look at one species, the numbers of which have declined dramatically in recent years. 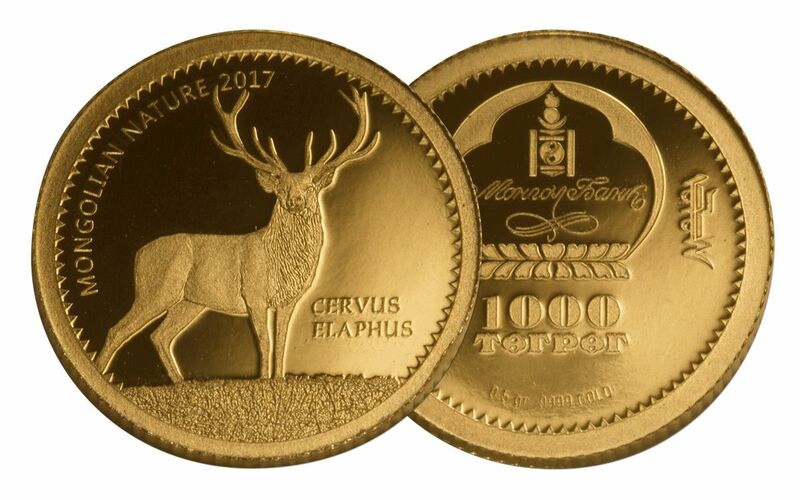 The Bank of Mongolia’s logo is on the obverse of the coin, along with inscriptions in Mongolian. Also included is the coin’s face value, and a pair of inscriptions that offer the coin’s weight and purity. Simple yet elegant Red Deer Design – Uncluttered and powerful. Half Gram of 99.99% Pure Gold – A rare standard of purity! 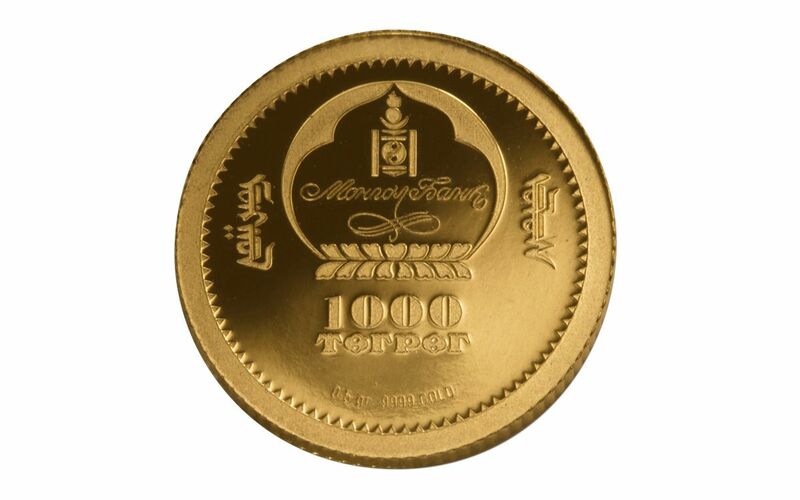 One Thousand Togrog Legal Tender for Mongolia - struck in Germany at the Mayer Mint, one of the most highly respected manufacturers in Europe. Low Mintage – Mintage of this coin has been capped at 15,000 pieces! Whether young or old, anyone who goes for a walk in a forest gives at least part of their attention to the possibility of seeing a deer. In a world that is bustling with information and electronics, a sighting of this beautiful and peaceful creature in a natural world that itself is often violent offers a rare combination of both excitement and calm. Those who see a deer in the wild are sure to tell their awed family and friends about the experience. Today, you have the chance to own a coin that provides a small piece of that experience. Order this Gold Red Deer today to have that kind of peace and beauty in the palm of your hand!